Buying an RV is sort of like having a baby- there's no play-by-play instruction guide to follow. You've got Airstreams, Fifth-Wheels, Teardrops, Class A's, Class B's, and all kinds of confusing classes to research and contemplate. How can you know which kind of setup is going to work the best for you? 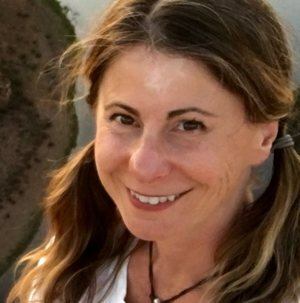 At the very best, it's good that you are doing your research on buying an RV so that we can help guide you with the ins and outs of each type of RV style. So if you are planning to spend a lot of time in State Parks and smaller campgrounds (which generally limit the size of rig they allow), or if you KNOW you can't get used to driving and backing up such a large house, you may want to stay away from buying a 5th wheel. 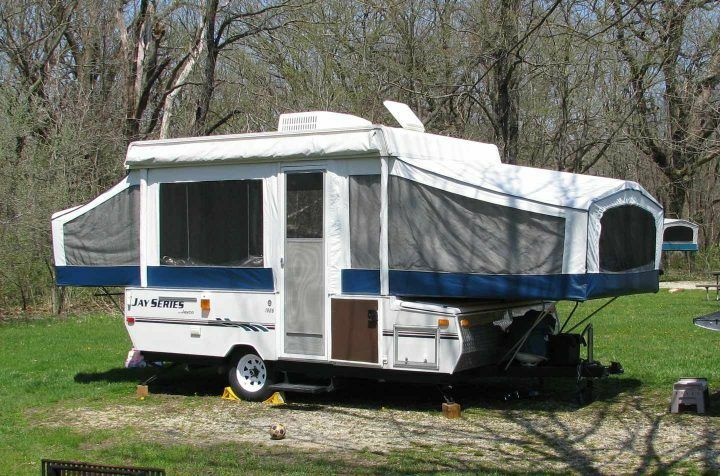 The benefit of a fifth wheel RV in regards to towing is that it can be easier to maneuver than a travel trailer. The connection is in the middle of a truck bed as opposed to at the end of the truck on a hitch. The downside of this is that you are confined to using a truck as a tow vehicle. If you have a large family, this can be less than ideal for a long trip. Also, trucks aren't as comfortable to jaunt round town in than some other vehicles you could otherwise pull with. On the other side of things, if you want your RV to mimic a house as much as possible and with ample amenities and space, a fifth wheel trailer might be good for you. Some of them can even come with a washer and dryer. If you plan on staying in commercial RV parks for the most part or exclusively, and especially if you don't plan on traveling much, a fifth wheel can be very cozy indeed. These are the most common type of RV on the road. They come in a great deal of different sizes and shapes. Travel trailers have the benefit of being able to set it up and leave it at camp while you can take the tow vehicle out to easily get around town and explore. However, a travel trailer's overall length can be longer than just having a motorhome, especially if you don't pull a toad (towed vehicle - behind the motorhome). ​Other benefits of buying a travel trailer- if you want to keep costs down, they are a good choice. If you buy a motorhome, most of the time, you will also need a toad (towed vehicle) to get around with for sightseeing or running errands. This means you have TWO vehicles to have to fix, maintain, and worry about. If you buy a travel trailer, you only have one engine, keeping maintenance and operational costs down. Travel trailers are less expensive than motorhomes. If you already have a vehicle that can tow a travel trailer, your initial cost to get an RV will be considerably less than if you purchase a motorhome. Maintenance expenses most likely will be lower than if you had a motorhome. Disadvantages? ​Manuverability is more difficult than a motorhome. Backing up can prove to be tricky as well. Getting around in a small or cramped town can be a 'joy' and maneuvering in gas stations can be tricky. Trailers MUST be level when towed and then leveled when parked. This might mean having to purchase a weight distribution system to get your trailer properly connected. Set up and break-down can take longer in a trailer than in a motorhome. This does depend somewhat on your setup and the tools you have at your disposal for assistance. 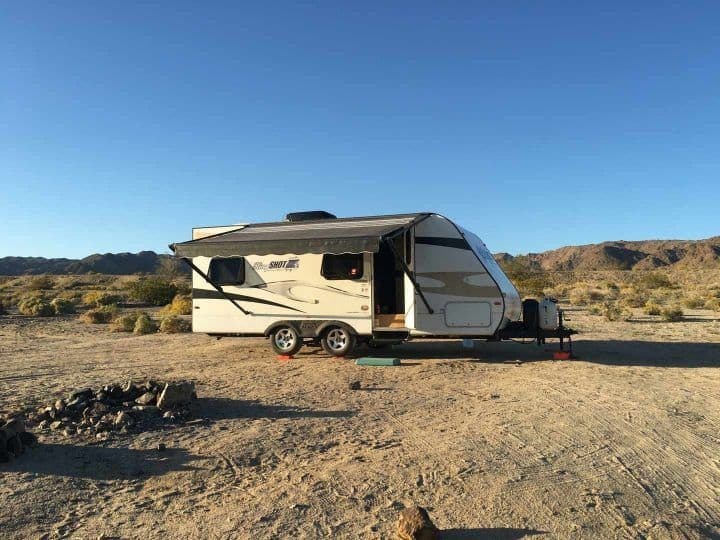 For instance, if you are a solo RVer, it will take more time to get level and to get backed up to the trailer hitch if you don't have someone helping you, unless you have a remote way to see if you are level and you can see the hitch with a back-up camera. 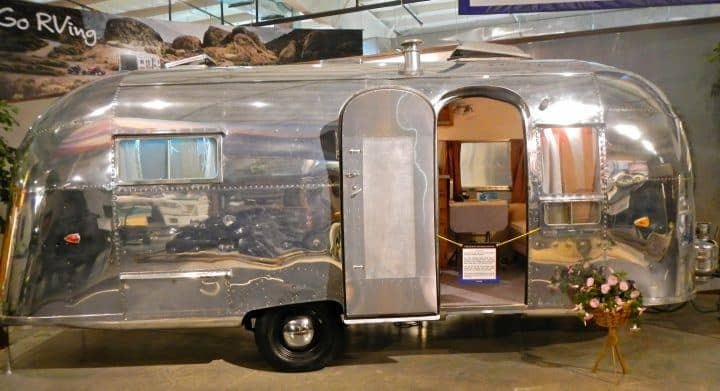 a. Airstreams- These are the quintessential American Dream type of RV. Can you resist gawking and being just a tad jealous when you see one cruising down the highway? They are honestly, by far, the best looking travel trailers out there for sure. The Airstream comes with a big gotcha: the PRICE. They do ask for a mint for what you get. The interiors are famously the most modern of any RV brand out there, greatly attracting millennials, Gen Xers, and those who have a flair for style. They come in many size options and some different layouts. Airstreams aren't super light, but they aren't ridiculously heavy, either. b. Teardrop trailers- Teardrops are good for the person who REALLY wants to live a minimal lifestyle and with a small footprint. There are teardrops that you can stand up in and those where you can't. In the ones you can't, basically all it is is a rolling bed, possibly with an outdoor kitchen in the back. Major considerations for picking a teardrop are whether to have your kitchen area inside or outside, and whether you want to have a bathroom or not. (Oh, and whether you want to be able to stand up inside on rainy days!) These are generally the shortest and the lightest of all the trailers, with the max length usually hitting about 20 feet long. Storage is pretty much non-existent in this type of trailer, so that can be a big consideration to think about as well.​ However, they are super light and can be pulled, sometimes, with a car. c. Pop-up camper- These are best for weekend warriors who really want to have that camping feeling. d. 'Regular' travel trailers- This is the most common type of trailer- the standard rectangular house on wheels. Storage can be OK to excellent, depending on the model. The start out at a very affordable price for entry level models and offer so many options that there is a trailer out there for just about every situation. These are likely to lose value faster than an Airstream or a teardrop as they are usually pretty cheaply made and don't hold up for very long, especially if they are not properly taken care of. ​Though there are definitely some manufacturers who make a quality travel trailer. e. Fiberglass Travel Trailers- These have quite a few benefits over the typical travel trailer. They hold their value better because they are made to be more leak-proof than the traditional trailer as they have far less seams to allow water to come in. The fiberglass construction holds up better and they are usually fairly streamlined and cute. People want them more than a 'regular' trailer. ​These are usually pretty small, compact and light. But they do come in pretty fancy versions, with the top-of-the-line fiberglass travel trailer being an Oliver. This can be considered a fiberglass version of an Airstream. An Oliver Trailer is much more expensive than the other fiberglass travel trailers and they weigh a good bit due to the high-end construction of the trailers, inside and out. They, like Airstreams, probably hold their value the best out of all of the categories. Truck campers are great for those who want their life to be as simple as possible. With little setup or breakdown, it's the best get-up-and-go type of rig. Used mostly for weekend getaways and hunting trips, there are a few people who DO full-time in a truck camper, so it is possible. Amenities in truck campers can range from very simple to having multiple slide-outs with crazy luxury touches for such a small space! Negatives are that they are going to be small, no matter what (though surprisingly big with slides), and if you want to go off-roading, you will have to take the camper off your truck, which CAN be a bit of work. Still, it's do-able. Motorhomes provide an all-in-one house on wheels. Fully self-contained, engine included, motorhomes provide an easy and luxurious way to RV. If you don't have the need for a toad (small vehicle towed behind the motorhome), it's much simpler than pulling a travel trailer and having to unhitch and hitch up all the time. They are generally more expensive than a travel trailer or a fifth-wheel as you are paying for a driveline (engine, etc). The learning curve of having a motorhome will be greater than that of a travel trailer. It's by no means hard to learn - there is a little more to know. These monsters get only about 8-10 miles per gallon (if you are lucky), so they have the worst fuel economy of the lot (though a monster 5th wheel trailer will easily vie for the title of gas hog). However, they provide a roomy interior and plenty of storage and are frequently used for full-time RV living. a. Class A motorhome- These are usually pretty large- the largest of the motorhome classes. They range anywhere from around 24 feet, up to about 45 feet in length. These giants offer the most in features and amenities, such as a full bath (or multiple bathrooms), robust entertainment systems, and even a washer and dryer. They come in a bunch of configurations and floor plans, with multiple slide outs, or no slides at all. Fuel options are gas or diesel. A Class A motorhome tends to have much more storage on the outside than a travel trailer will have. They are pricey since they come with an engine and usually lots of moving parts. 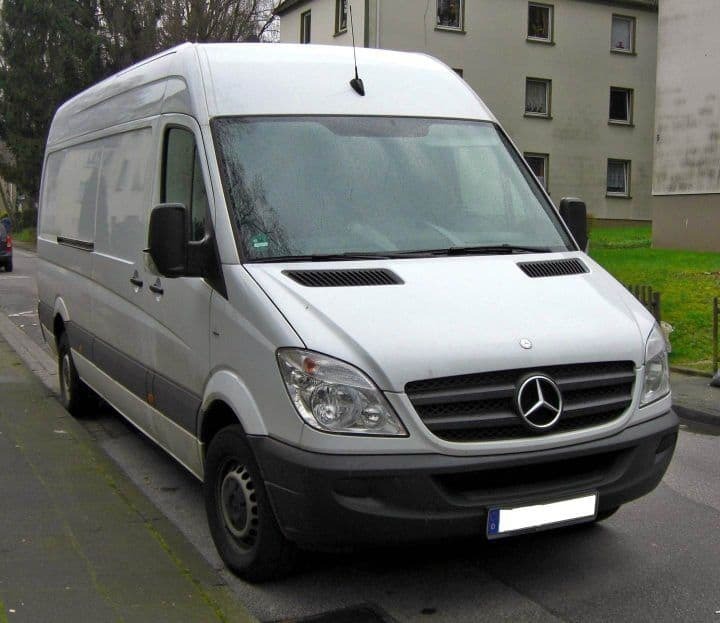 Though some are as big as 45', no CDL license is required to drive a Class A motorhome. ​Another advantage (though be smart about this, and it may not be legal!) is that passengers may move about the rig while traveling. Class A's are known best for their luxury, amenities, storage capacities, and spaciousness. b. Class B motorhome- Why can't they just call these vans? Essentially, that's what they are. Vans (conversion vans to be precise). With bathrooms and kitchens. 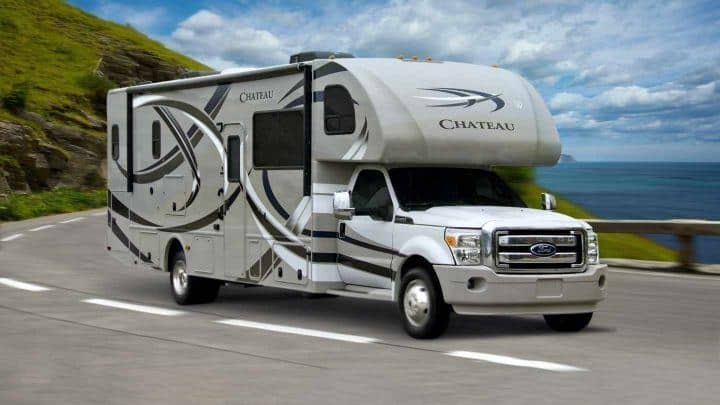 Class B motorhomes are usually easier to maneuver than a Class A since they are shorter and not as tall, generally ranging from 20 to 33 feet in length. Getting around is a breeze. Getting to sketchier boondocking spots may also be easier with a Class B. You might expect the price to be cheaper than a Class A, but surprisingly, they are not! They can be amazingly pricey, sometimes even pricier than Class A's. c. Class C motorhome- These are the motorhomes you see with the bed over the cab. This allows for more people to stay overnight, so they are good for large families. Gas mileage ranges right in between a Class A and a Class B (as a matter of fact, there is a Class B+ that offers a cab over design like a Class C, but on a smaller van chassis). A Class C motorhome generally isn't as large as Class A's, but offer more room than most Class B's. They are sort of a compromise between the two. More storage than a Class B, less than a Class A. Better gas mileage than a Class A, worse gas mileage than a Class B. The list goes on, but you get the idea. Like to play while you are away? These travel trailers offer interior storage space (garage) for your toys such as motorcycles, ATVs and sometimes even little Smart Cars. Interior living space for actual human beings will be smaller than other types of trailers as so much space may be dedicated for your toys. However, some RVers choose a toy hauler and actually create, say, an office space out of the garage area. This is something to think about when needing a type of space that isn't all too common in RVs. You may want a play space for your kids- you can easily convert it to use it any way you want to. Toy haulers​ come with a long back ramp, so the whole entire back wall basically opens up so you can drive your toys in and out of the unit. However, living in close quarters with vehicles can also be unappealing as far as breathing in fumes, depending on how closed off the area is from the living quarters. A toy hauler trailer can come in the form of a travel trailer OR a fifth wheel. Figuring out what type of rig is best for you is a matter of knowing what your needs are and going out there and looking at different models to get a feel for what you like. As previously stated, no rig will be able to make you perfectly happy, there are always ways you may want something different or improved. However, the floor plans are seemingly ENDLESS, and it may be the deciding factor for you as far as what type of RV you end up getting. Bigfoot Travel Trailers are better built, offer more room and amenities than the Oliver plus they are true 4 season travel trailers. Built in Canada they are sold in the U.S. via a series of dealers and are fiberglass. They come in 17.5 ft, 21 ft and 25 ft. Lengths and offer more standard features than an Oliver. For me, it all comes down to the almighty buck. 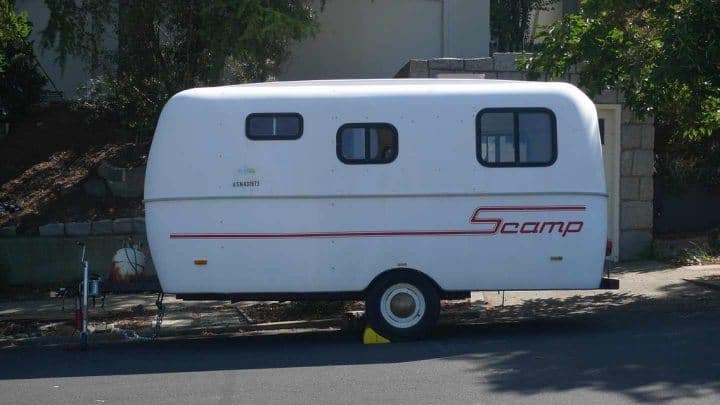 The ones I want are too expensive or for rich people only, so I have to settle for someone’s old used, worn out camper! Great article! I know how hard it could be to find your perfect RV! Glad I found mine 2 years ago! After looking at different trailers for about a year and researching how each is made I have learned a lot. And thanks to all the you tuber’s. The number one thing I would say is check out your purchase thoroughly or even better have a professional do it. Preferably not the dealer your buying from. As you said rv’s are not cars and their not built as well.New and used alike. Don’t believe anything works unless you’ve seen it. I’d rather pay a couple of hundred now than get a 20 or 30K headache, or more. I have also owned and camped with 3 different trailers for over 30 years. I have never boon docked full time but I will be at the end of 2018. Yep, best to do your homework before buying, or have someone else inspect the rig. Either way, things can still go wrong after purchase. It’s kind of hit or miss, unfortunately. Marshall and I have been pretty fortunate in that we have had very few problems with our own rigs. Have fun full-time boondocking and Camp On! Well, you certainly did not have much to say about ToyHaulers. But, when you stop and take your “toy” out …. there is a whole lot of room for other pursuits ….. yes? I am considering a ToyHauler because I ride a large motorcycle. With a 3/4T pickup, or suburban, as a tow vehicle, I can travel in just the truck, just the motorcycle, or the whole thing. When I stop and unload the bike, I can park the rig and have a ‘home’ to come home to while touring on the bike. Any others who ToyHaul and have comments on my comment? You bring up some excellent points about toy haulers. They are definitely one of the more versatile types of rigs. Way back when during my ‘fantasy’ phase of RV shopping, I was eying some toy haulers and thinking about how I could convert them into an office (since I don’t have toys). It sounds like a toy hauler is pretty much the perfect rig for your lifestyle. Thanks again and Camp On! This is a very helpful article for people planning to buy or rent their first RV. Thanks guys!! Thanks, we are so happy that you found it helpful. There are so many choices to fit people’s needs these days. It can be really challenging to figure out what will work best for you. Good luck if you are in the market, and Camp On!! Now there is a class B+ which is close to a class C but no cab over bed. I was looking at those for full timing. Hopefully you’re happy with the one you got. I sure liked it!